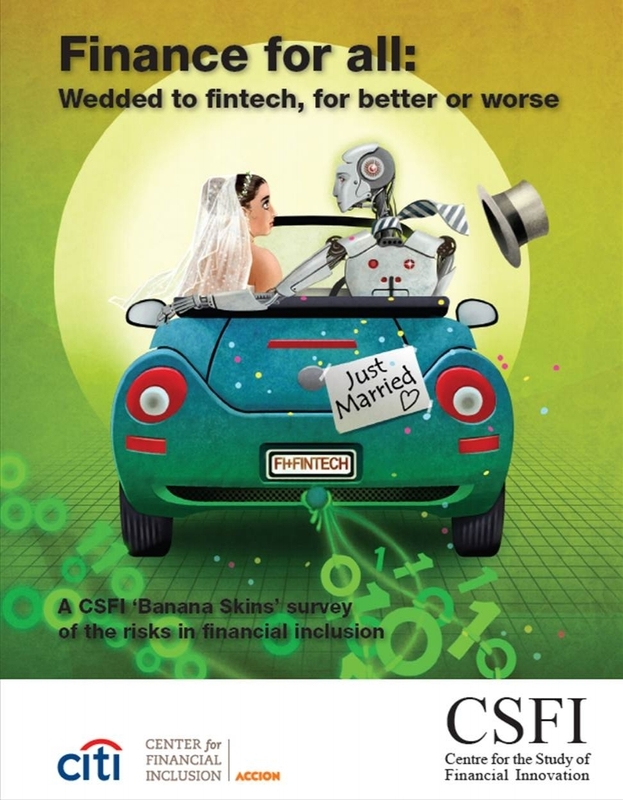 The Centre for the Study of Financial Innovation (CSFI) is an independent London-based think tank which researches trends in the financial sector. It is supported by 75 public and private institutions, and has no political agenda. The Center for Financial Inclusion at Accion (CFI) is an action-oriented think tank that engages and challenges the industry to better serve, protect, and empower clients. We develop insights, advocate on behalf of clients, and collaborate with stakeholders to achieve a comprehensive vision for financial inclusion. We are dedicated to enabling 3 billion people who are left out of – or poorly served by – the financial sector to improve their lives. For more information, visit www.centerforfinancialinclusion.org. The Citi Foundation works to promote economic progress and improve the lives of people in low-income communities around the world. We invest in efforts that increase financial inclusion, catalyze job opportunities for youth, and reimagine approaches to building economically vibrant cities. The Citi Foundation's "More than Philanthropy" approach leverages the enormous expertise of Citi and its people to fulfil our mission and drive thought leadership and innovation. For more information, visit www.citifoundation.com.